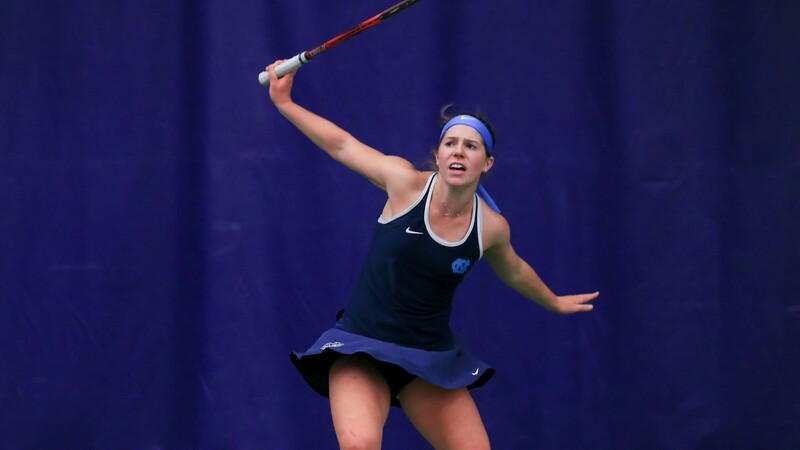 The second-ranked UNC women’s tennis team rolled to a 4-0 victory on Friday in Seattle over the Oklahoma State Cowgirls as part of the first round of the ITA National Indoor Championship. UNC is seeking its second consecutive title in the event. Due to an impending snowstorm approaching in the region, the match was decided strictly on singles play–skipping over the doubles portion that typically is played first. Sara Daavettila (6-3, 7-5), Makenna Jones (7-6, 6-4), Alexa Graham (6-2, 5-7, 6-3) and Jessie Aney (6-3, 6-3) each won their respective matches in order to give the Tar Heels a clean sweep victory. UNC will have its quarterfinal match on Saturday. PreviousTalk Dating to Me: Who Pays on the First Date?